Description: Individuals were committed to "insane asylums" for a variety of reasons in the 19th century--sometimes necessary and sometimes by others for personal reasons. This presentation explores the evolution of care of the mentally ill in the 18th century starting with Bethlam Hospital in London, the source of the term "bedlam," through to the early 20th century. The records publicly available during this era is wider than one might expect and certainly contains more information than one would see today. The presenter also petitioned the courts for the records of 3 mental hospitals, containing information that was initially withheld. 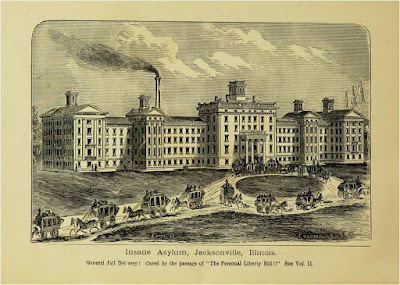 Tracing the experiences of a patient who was confined in the Jacksonville, Elgin and Peoria (Illinois) asylums between the years of 1872 and 1905, we can identify the changes in care and record keeping for Dirk Bode of Stephenson County, Illinois, and get a picture of his daily life. Publicly available and court-obtained sources and resources will be outlined and compared. While focused on a case study set in Illinois, the process and results will not be too dissimilar from that of other states which will be discussed. 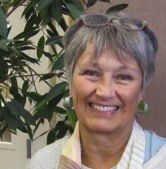 Jill Morelli is a professional genealogist who lives in the Pacific Northwest and lectures across the country specializing in methodology, 19th century Midwest and her Scandinavian and Northern German ancestors. She belongs to numerous societies and shares her enthusiasm for her passion with whoever will listen. You can find her at http://genealogycertification.wordpress.com where she blogs about what she has learned while being "on the clock" and her journey to become a certified genealogist. Recording and Handout Available to ISGS Members: For ISGS members who cannot attend the live webinar on January 10th, a recording of the webinar, along with the handout, will be made available in the Members Section of the ISGS website at http://ilgensoc.org/members.php. If you're not already a member of ISGS, visit Join ISGS! at http://ilgensoc.org/cpage.php?pt=8 for more information.